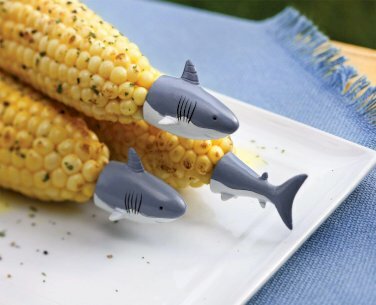 You're gonna need a bigger plate. 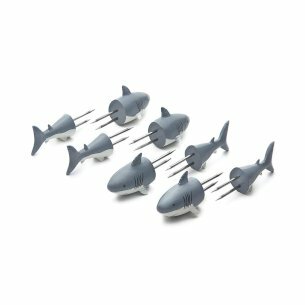 Each set of these ferocious little skewers comes with 4 pairs of sharks, all ready to circle your dinner table and prey on helpless corn on the cob. Open your jaws and enjoy.